Welcome to Motorcycle Forums dot net! Welcome to MotorcycleForums.net - A Motorcycle Forum dedicated to the discussion of all Motorcycles. In order to full utilize the site we suggest that you first register an account - it's quick and free. Once you register you can check out the area for our New Members here: New Member Pitstop Area. Sportbikes & Sport-Tourers - Got a supersport, sport-tourer or streetbike? If you prefer the twisties to the open road, this is the place to talk about it! Cruisers - Lots of chrome and an open road. Talk about it here! Harley Motorcycle Forum - Discussion area for Harley Davidson Motorcycles. Honda Motorcycle Forum - Discussion area for Honda Motorcycles. Motorcycle Swap Meet - Buy / Sell / Trade all Motorcycle items here! MF Supporting Vendors - Official Supporting Vendors of MF! It’s not Thanksgiving yet but Revzilla’s Black Friday deal is already live, with savings from 20-50% on a variety of products. 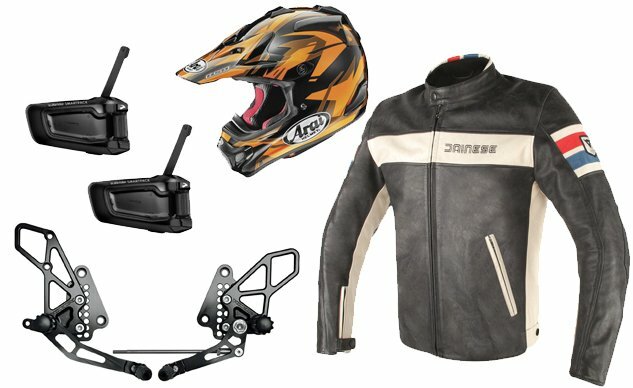 We’ve highlighted some of the deals that caught our eyes below, including a selection of Dainese gear, but you can see the full list of Black Friday sales on Revzilla. Read more about the Best Revzilla Black Friday Deals 2018 at Motorcycle.com. Most users ever online was 5,652, 06-11-2016 at 11:49 AM.